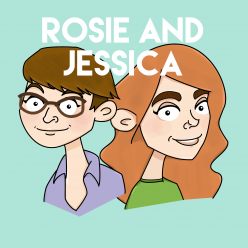 In episode 61, Rosie and Jessica are looking in fine fettle with the new podcast artwork. 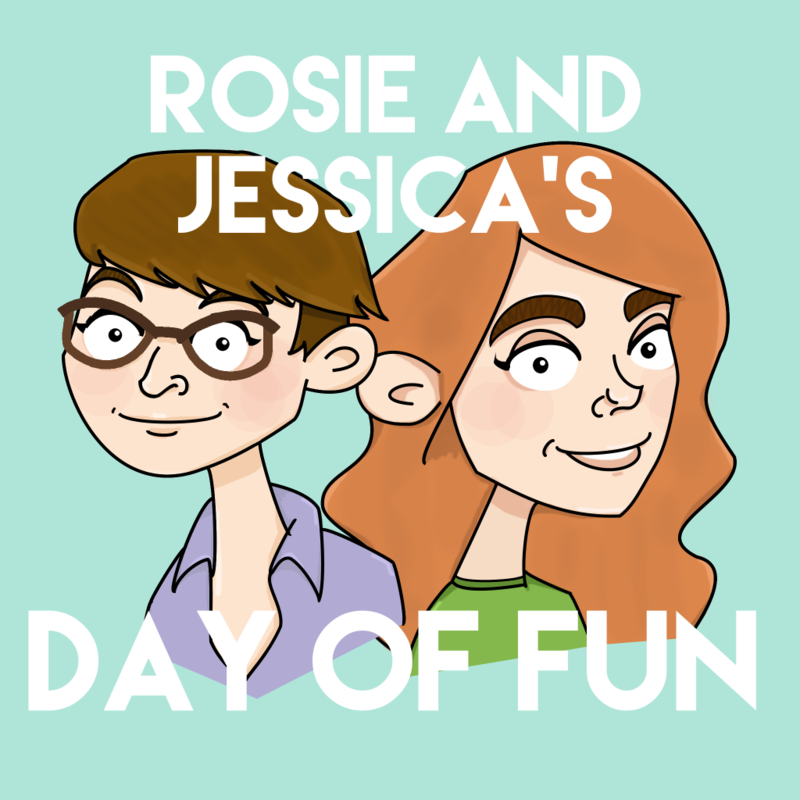 Rosie has had the best day of her life and Jessica has come up with some sinister theories for wildlife photography. In celebration of Rosie wearing Jessica down on Once Upon A Time, they list their Top 5 Fairytale Characters. Please do not send us glitter in the post. Jessica picked Scar by Missy Higgins, while Rosie went for The Duke of Burgundy by Cat’s Eyes. Look at our shiny little faces! Send glitter to your enemies. Take some time out with One Year Wiser: The Colouring Book. Adam and Joe talk about little gnomey men. NPR’s Linda Holmes on Cinderella is an excellent read and NPR’s Pop Culture Happy Hour on fairytales is an excellent listen. Yummy yummy chocolate courgette cake. This is the very pretty Sunday Shawl. In returning feature Cabot Coverage, here is the Secret Magic Formula for Murder, She Wrote. Liven up a train ride by pretending to be on a canal.